A mixed bag for the #CJSReads trio - scroll down to see what we individually thought of this dystopia, technological/political thriller. Big thanks to Sourcebooks Landmark for our advanced copies in return for our honest reviews. 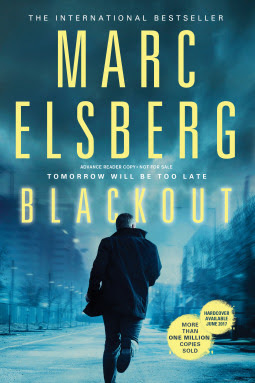 A terrifyingly plausible, million-copy selling debut about an international blackout perpetrated by a hacker attack. When the lights.... go out... in the city.... and don't come back on.. and then Europe finds that threats in the United States are also occurring.... you know there's a real problem. Cities are being evacuated - there's proof that there are bombings happening and threats to nuclear power plants are imminent. Former hacker, Manzano, thinks he is being sought after to help with figuring out how these acts are happening, but soon finds, he's one of a few suspects. 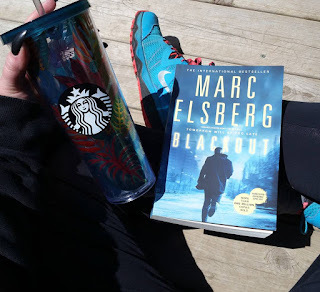 Running with American Journalist, Shannon, they race against time to try and stop a global catastrophe. This book is written in various locations and through several POVs, and they all tie in together without getting overly complicated. The fascination behind this technological thriller is the plausibility. If this country (or any country really) went into permanent Blackout, it would take a LOT of adjusting to get the country working again. 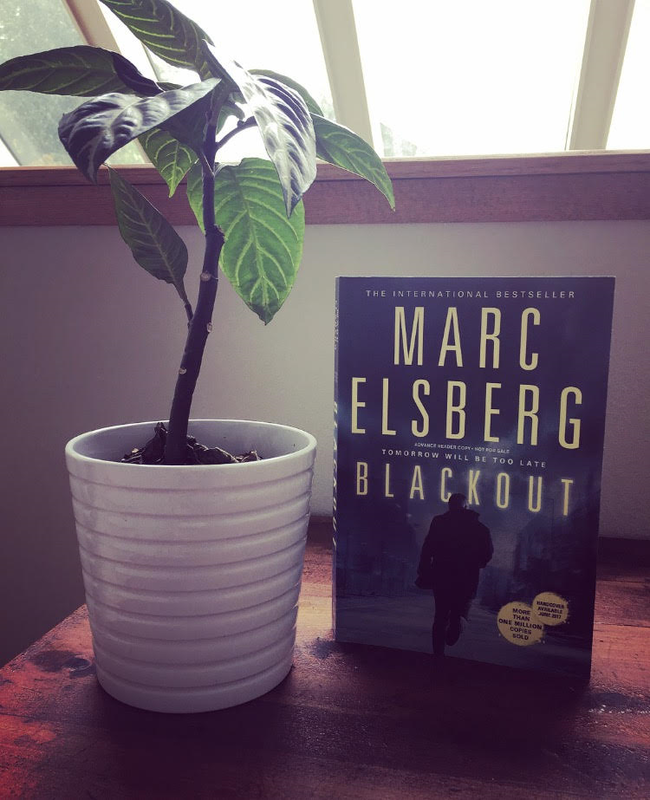 Elsberg does an insightful job of the unravelling of society and how we would react not only to being put in the dark but how dependent we are to power. It's scary, all too real and definitely makes you think. Like I've said before, I'm a sucker for anything remotely political in a thriller. A terrorist cyber attack that has gone global? Now that's something I'm going to enjoy! 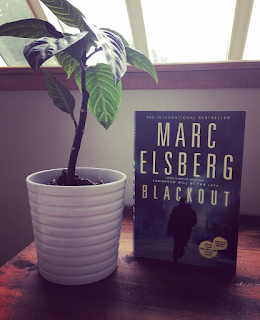 Blackout by Marc Elsberg was an interesting look at how a hacker was able to completely collapse the electrical grids throughout all of Europe, and how it was starting to spread across the globe. One night, Europe is engulfed in darkness. An entire collapse of the electrical grids unleashes a chaos in the complete blackout. What the general population doesn't know, the nuclear reactors are beginning to overheat, which could mean the end of the world if they detonate. A former hacker/activist, Piero, begins investigating the possible causes of this disaster, but in doing so, he becomes the prime suspect. With threats mounting against the United States, time is running out for him to try and stop whoever caused the blackout. If the lights stay off for too long, there might not be a tomorrow. I think what I enjoyed most about this book is that this could definitely happen. Maybe not globally and so quickly, but one day we could just lose power. I can only imagine what would happen if the United States was in a completely blackout with no resolution in sight. Food, water, the ability to heat our homes (should it happen in winter - I'd hate for this to happen in Minnesota in December! ), and so much more would be jeopardized. We live in a world consumed by computers, phones, and electronics, if there was a blackout at this scale I'm not sure what society would do. I didn’t really know what to expect going into this one; sometimes, when a #cjsreads member suggests a title, I go into it blind and hope for the best! There were lots of things I did like about this book. I liked how Elsberg chose the setting to be in several different places and focusing on several different people. It reminded me a bit of the writing of Ezekiel Boone (who is one of my favourties!). However, as soon as this novel got to be a little political, I knew it wouldn’t be for me. Maybe if it dove right into the action or started out with some crazy flashback, I would have held on to see what would happen.